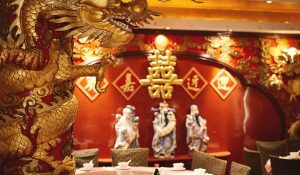 Imperial China’s wow factor hits the minute you step through the doors and over a quaint footbridge above a carp pond. It’s like being transported directly to China. 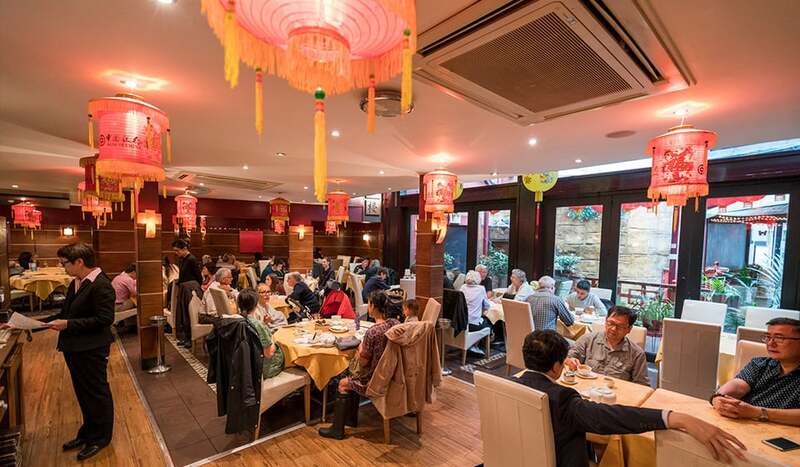 Situated in White Bear Yard, just off Lisle Street, the courtyard-dwelling restaurant, which opened in 1993, is one of Chinatown’s biggest. 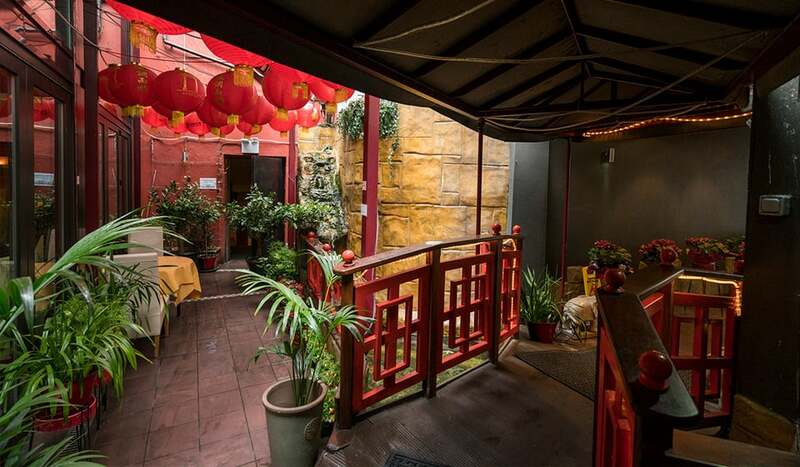 It’s housed over three floors, with 8 private karaoke-ready dining rooms. 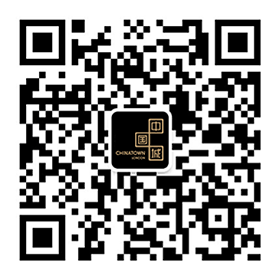 In other words, Imperial China is a foolproof choice for weddings, corporate events and large scale banqueting. 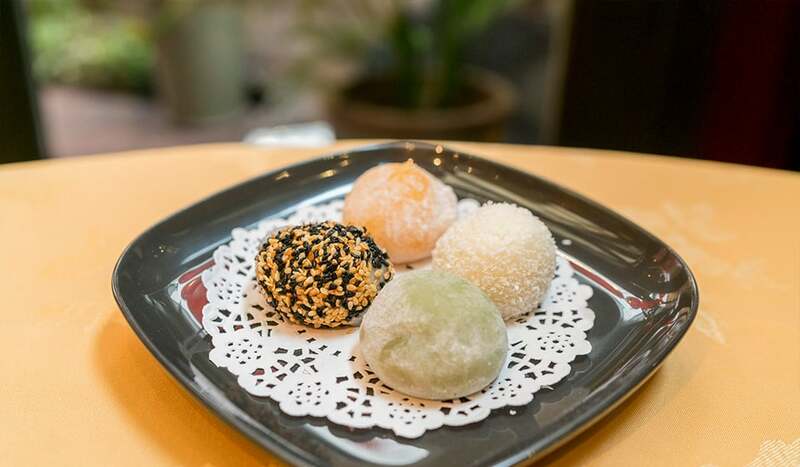 Their kitchen, run by a team of Hong Kong chefs, serves up delightful dim sum by day and Cantonese à la carte in the evening. 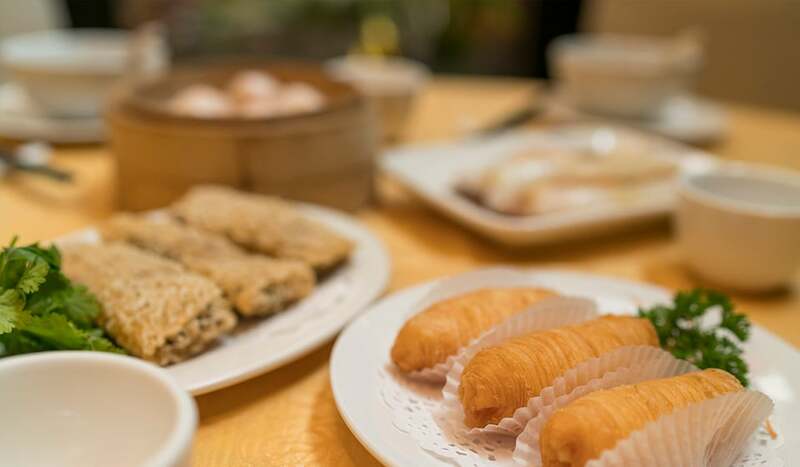 And what a dim sum menu it is, with over 60 choices of steamed, baked, fried, cheung fun, vegetarian and sweet. 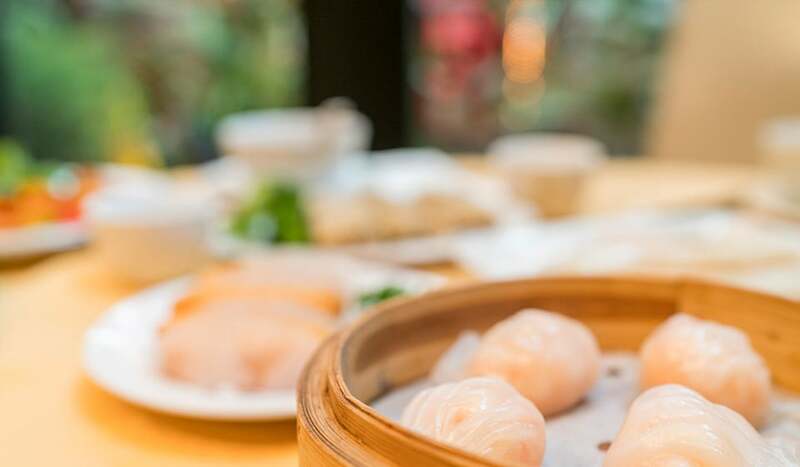 Traditional favourites like scrumptious Prawn and Scallop Dumplings sit alongside a few quirkier curveballs like Chicken and Mock Shark’s Fin Dumplings and Steamed Chicken Claws in Abalone Sauce. Abalone, or ‘bao yu’. 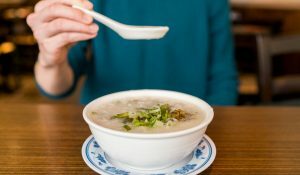 This is one ingredient you probably won’t find in many other Chinatown spots. If you’re unfamiliar, it’s a large sea snail. The meat of the mollusc is considered something of a delicacy. Imperial China’s à la carte menu has an entire abalone section where you can sample this unique morsel braised or sliced to perfection. 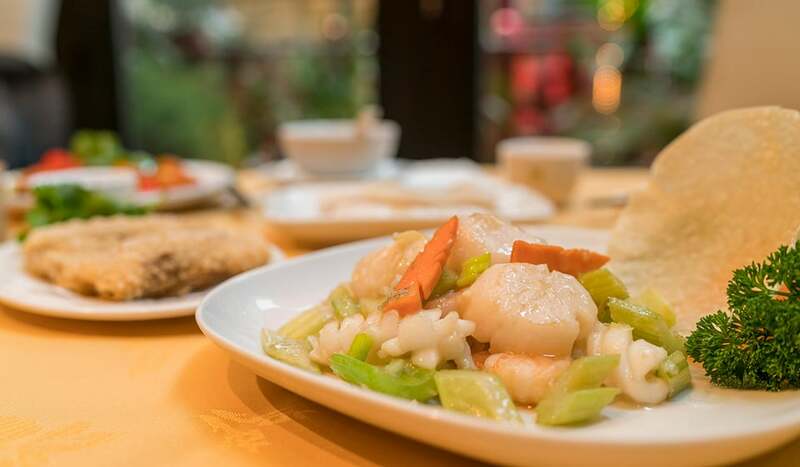 Seafood is Imperial China’s specialty and lobster is the jewel in its crown. 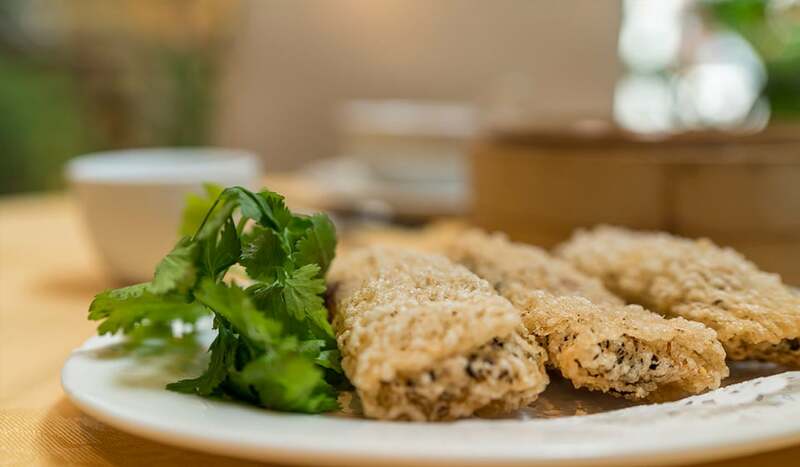 Try their famous Seafood Feast, a hefty fisherman’s haul of fresh lobster or soft shell crab with scallops, Sichuan prawns and tenderly cooked fish cubes with black bean sauce. Barbecue junkie? 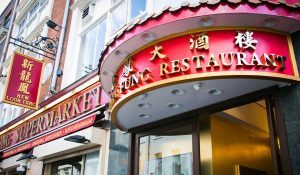 Visit at the weekend when they roll out a generous Mixed Roast platter, starring mouth-watering barbecue pork, roast duck and crispy pork. Tipple-wise Imperial China offer a smorgasbord of spirits, classic or house cocktails and a comprehensive global wine list. 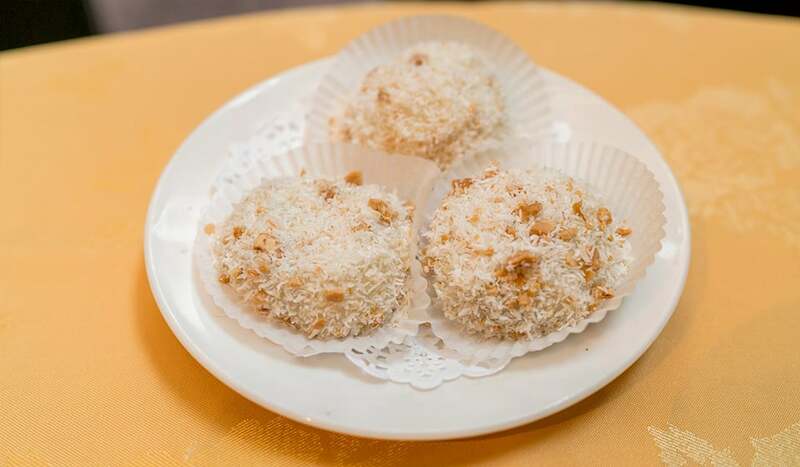 Step over the bridge and into a Cantonese wonderland.